The state’s new health plan, Community HealthChoices (CHC), took effect on January 1 for some areas of Pennsylvania, while other areas of the state are still to follow, with implementation to begin in January 2019. The new program is mandatory for Medicaid recipients who are 21 years of age and have Medicare and Medicaid or are receiving long-term services and supports through Medicaid. Are you or a loved one covered under a Community HealthChoices managed care plan? By now, you may have decided that you just aren’t happy—your doctors or services may be changing and you’re stuck with unaffordable copays. Maybe you are wondering how you or your aging loved one can change health plans—and if Senior LIFE is the best alternative option to Community HealthChoices. Let’s chat about your options. If you're unhappy with your current Medical Assistance plan, you may be eligible for Senior LIFE. Community HealthChoices requires that participants enroll in a managed care organization. But Senior LIFE is an alternative option. And for many seniors, the LIFE Program is the most attractive option. Senior LIFE provides all Medicare- and Medicaid-covered services—and there are NO costs to enroll, no copays, and no deductibles. Seniors can enroll in Senior LIFE at any time, and a Senior LIFE staff member can assist throughout the entire process. 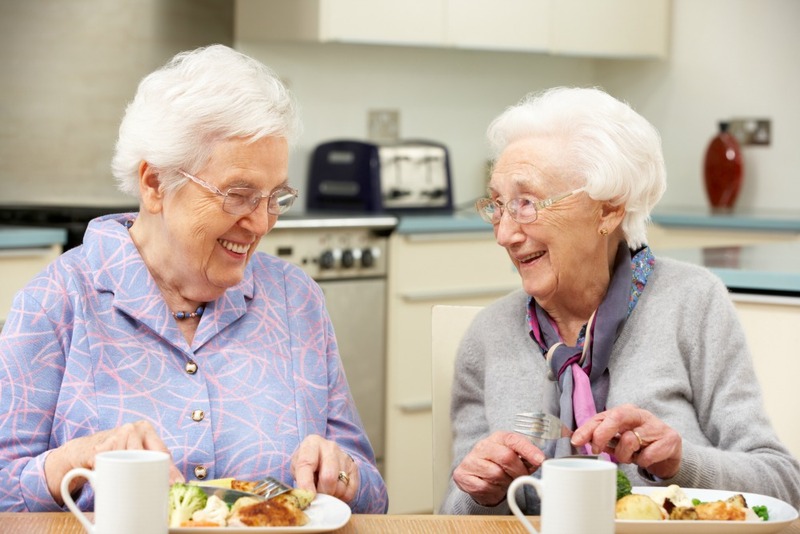 Senior LIFE is available to those living near our 12 locations across Pennsylvania. At each location, members have access to various supportive services they may need as well as other comprehensive health solutions. Services are customized to meet the specific needs of each individual—and include physicians and specialists, nursing care, rehabilitation services, personal and home care, medications, transportation, and more. Care is provided at the LIFE Health and Wellness Center, as well as in the home. Senior LIFE has over two decades of experience serving seniors in Pennsylvania. That experience means quality, expert care under a proven system. When you choose Senior LIFE, you are choosing a plan that includes individualized care provided by staff who both live and work in your community. Unlike managed care organizations, which are organized around large cities, your care providers know your area, and they are eager to get to know you. Community HealthChoices: What Can I Expect From Senior LIFE? When you enroll in Senior LIFE, you have your own interdisciplinary team of medical professionals who focus on your needs. This team includes doctors, nurses, therapists, and social workers. The team works alongside you to design a care plan that fits you and your unique health needs. Senior LIFE gives seniors health choices in PA that allow them to live their best lives at home. Through the program, members enjoy independence while still receiving the health and supportive services they need to stay healthy and happy. Senior LIFE provides medically necessary support services that are designed to keep your loved one at home longer. Wondering whether you or a loved one are eligible or want to learn more? Find the location nearest to you.